What should you do when visiting Rome? 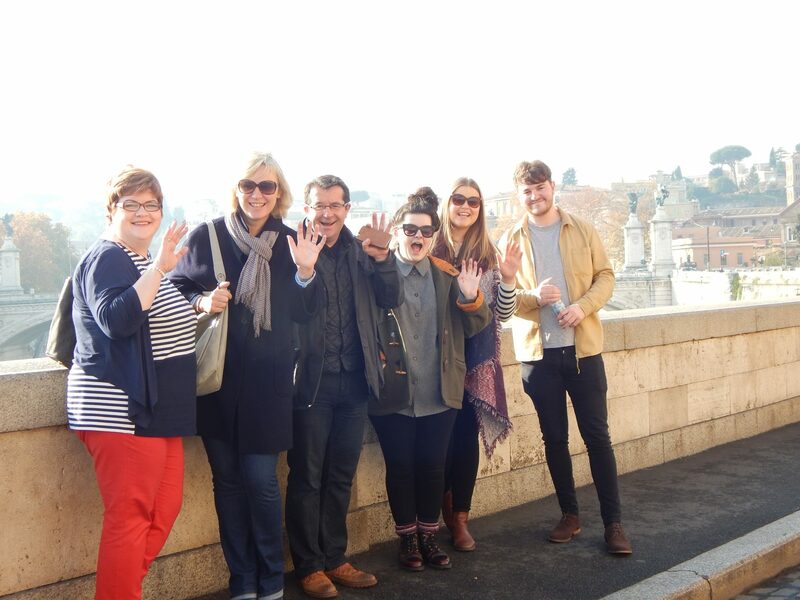 Flavours team spent a wonderful day in Rome and here’s our list of top things to do. First stop for our day in Rome was the Vatican City. 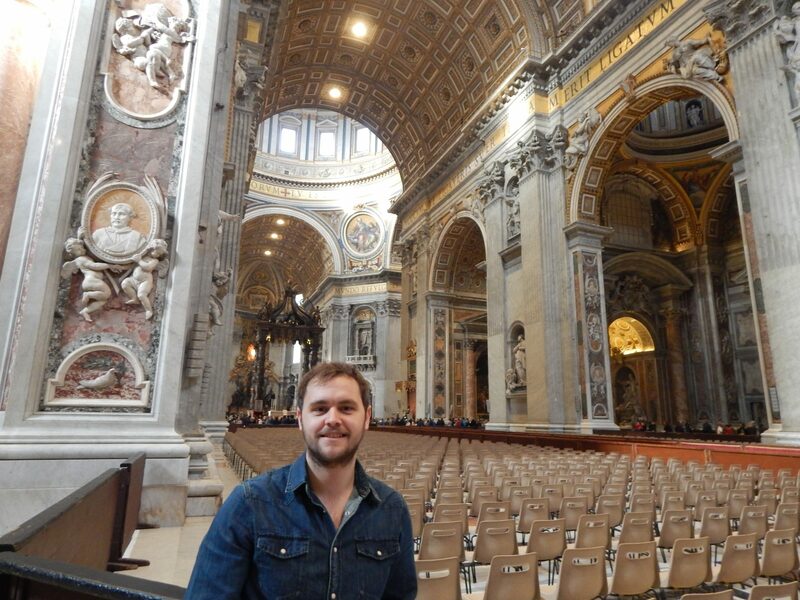 This stunning area is the centre of the Roman Catholic faith and is a celebration of art and architecture. With so many sights to see such as Piazza San Pietro, The Chapel of St. Peter, Vatican Museums and the Sistine Chapel it would be easy to spend a full day exploring the city. Get there early to avoid the queues and make sure to take some time to enjoy the stunning mosaics, paintings and architecture. Piazza San Pietro was created by an Italian architect called Bernini in the mid 16th Century. Once you enter the Vatican City the narrow street opens up in a vast elliptical shaped arena like space which is surrounded by symmetry of large decorative columns and statues. During religious occasions many people come to receive a blessing from the pope who appears from the balcony above the square. The Sistine Chapel is a marvel. This is the main chapel within the Vatican Palace and houses many frescos and paintings from artists throughout the 15th and 16th century such as Botticelli and Michelangelo. The main attraction would have to be the ceiling of the chapel which depicts many scenes from the Old and New Testament such as Adam and Eve tasting the forbidden fruit. Next stop the Colosseum! This dominating structure of Rome’s ancient history really delivered. The Colosseum opened in AD 80 and was believed to of held 55,000 spectators. As depicted in many Hollywood movies you can really get a sense of the rapturous crowds that flocked here to cheer on the Gladiators who fought to the death. The Circus Maximus was the location for another of Ancient Rome’s entertaining Pastimes. The stadium that once stood is believed to have held up to 300,000 spectators who would come to cheer on the chariot racers, athletic contests as well as being used for religious processions. Then Roman Forum was the centre of much of Rome’s social and commercial activities. The forum was a market place surrounded by many important buildings used for legal and political purposes. Here you can see many remains of these buildings, monuments and archaeological excavations. The Pantheon was once a temple erected for the Gods which is now used as a church. The building is seen as one of the best preserved Ancient Roman building which is most likely because it is still currently in use. This seemingly simple porch of Corinthian columns and pediment masks the real star of this building that is the large dome which covers the rotunda. It is constructed from concrete with a circular oculus at the top allowing the only source of natural light. 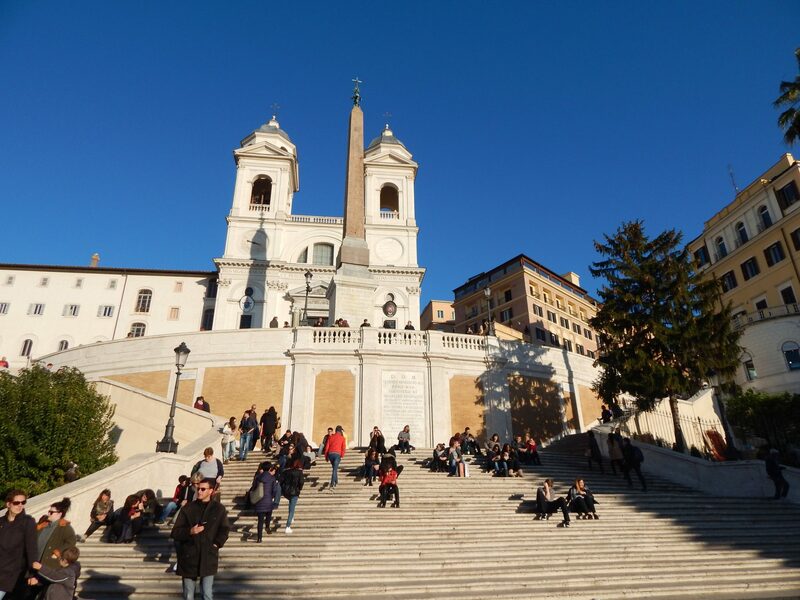 The Spanish Steps were erected in the 1726 by an Italian architect called Francesco de Sanctis. The staircase links the Piazza di Spagna to the Trinitia dei Monti. At this time the trinitia dei Monti was under French ownership so, the steps were also planned to house a statue of King Louis XIV but needless to say there was plenty of opposition to this plan from resident Romans so Francesco designed a landmark to suit both sides of the argument. The steps are used today as a meeting place for locals as well as a wonderful setting to watch passers-by. 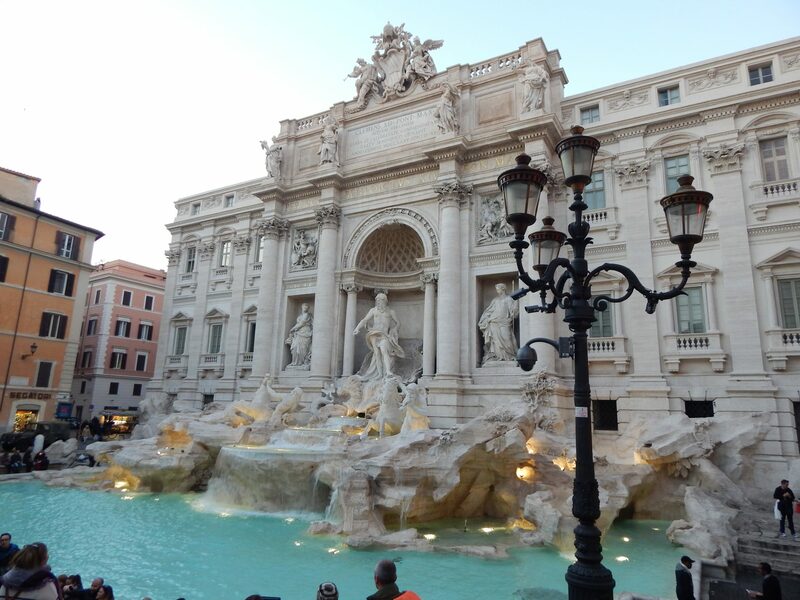 The last stop on our tour was the Trevi Fountain which is Rome’s most famous and largest fountain. This beautiful fountain depicts the Roman God Neptune being led on a chariot by two horses as well as many other ornate carvings which have created a stunning landmark which is visited by many people each day. The fountain is also full of coins which are thrown in because legend has it that this will ensure a return to Rome. …and of course the food! Rome is dotted with so many amazing places to eat. With just a little research you can discover some wonderful trattoria and taste some of the best produce Italian cuisine has to offer.